The Groove Cruise is unique for setting sail from both the East and West coasts. While the 2018 dance music festival at sea is sold out from Miami, it is still available from San Diego, California. Guests will be welcomed with onboard resort relaxation, themed parties, activities and even artist/guest excursions. From America’s Finest City, the theme cruise will embark aboard Norwegian Cruise Line’s Norwegian Pearl on October 10-14, 2018 sailing to Cabo San Lucas. 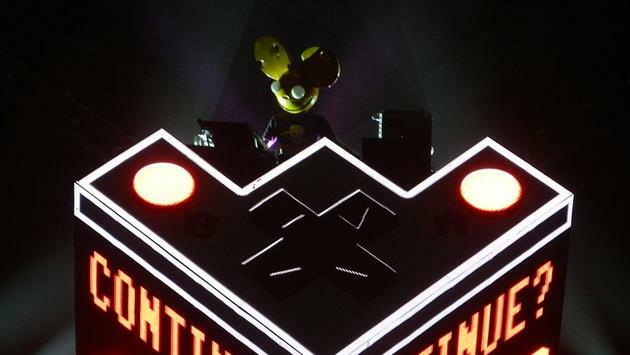 Though the final artist lineup is still being determined, previous years have featured the likes of deadmau5, Fedde Le Grand, Benny Benassi and Dimitri Vegas & Like Mike. With more than 2.5 million email and social media subscribers clamoring for her recipes, Lisa Lillien, also known as Hungry Girl, is taking her better-for-you food brand to sea with the Hungry Girl Cruise. Her most avid followers will set sail on Holland America Line’s Nieuw Amsterdam, April 7-4, 2018 from Ft. Lauderdale to Half Moon Cay, the Cayman Islands, Cozumel and Key West. Programming onboard is set to include cooking demos, interactive presentations, panel discussions, food and fitness myth busting, parties, workouts, raffle prizes, giveaways and nightly Hungry Girl entrees in the dining room. Hard rock and heavy metal fans will be interested to book the Monsters of Rock Cruise aboard Royal Caribbean International’s Navigator of the Seas on February 11-16, 2018. 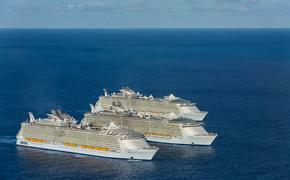 The ship will set sail from Miami, Florida for Falmouth, Jamaica and the private island of Labadee. The voyage can also be extended with two optional pre-cruise parties (complimentary to cruisers). Coming along for the ride are scheduled to be more than 35 artists such as Tesla, Queensrÿche, Thunder, Lita Ford, Winger, British Lion featuring Steve Harris of Iron Maiden, LA Guns, KIX, Y&T, Lynch Mob, Great White, Beasto Blanco, Doro, Pretty Maids, Vixen, Firehouse, Loudness, Michael Sweet (of Stryper), The Quireboys, Tyketto, Dangerous Toys, Junkyard, Keel, Raven, Madam X, Rhino Bucket, John Corabi, Autograph, Lillian Axe, Rough Cutt, Mitch Malloy, The Iron Maidens, Kickin’ Valentina, Jared James Nichols, Thee Rock ‘N Roll Residency and Atomic Punks. New for 2018 will be Joel Hoekstra (guitarist for Whitesnake and Trans Siberian Orchestra), Faster Pussycat and Paradise Kitty, as well as Rick Allen of Def Leppard—who will also be displaying at an onboard art gallery. In addition to band performances, the voyage will be filled with artist/fan photo ops, Q&As, Gong Show Karaoke, a Star Wars theme night, surfing competition, My RockNRoll Valentine Ball, “So You Think You Can Shred?” and Cooking with Rock Stars hosted by Lisa Tirone of Chef It Up!. Proving not all musical theme sailings are dedicated to modern genres, the classical Steinway Cruise will embark aboard Sea Cloud Cruises on June 11-17, 2018. The Sea Cloud II will take guests from London (Portsmouth) to Hamburg, featuring up-and-coming pianists and exclusive concerts along the way. Steinway & Sons established the Steinway Prizewinner Concerts Network to showcase young artists, and Yekwon Sunwoo and Anna Tsybuleva will be presented during the cruise accordingly. Sunwoo will offer the first performance before boarding at a private club. Later, Tsybuleva will be on hand to play while the ship sails. Art and culture will also come to life during the cruise as calls feature Honfleur—once frequented by Cézanne, Monet and Renoir—and the UNESCO world heritage city of Bruges. Cruising down the Elbe river, guests will also gaze upon the Elbphilharmonie. The third annual Zumba Cruise is coming to Royal Caribbean International’s Navigator of the Seas on April 8-13, 2018 departing from Miami. Ports of call will be Costa Maya and Grand Cayman as guests enjoy musical performances, parties and classes led by 50 of the best international celebrity Zumba instructors.